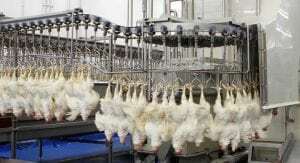 You are here: Home » Regional news » Europe » Opinion: Is Your Poultry Meat Really Halal? Masha’llah, very interesting topic. We even don’t notice. May Allah SWT guide us to the right path by doing right thing. Ameen. In my opinion, the primary issue here is that Halal and Tayyib are inextricably linked. One without the other is simply not enough. Over the past decades, there has arguably been an overemphasis on Halal, and precious little attention paid to the Tayyib, or wholesomeness of certified products. The global market is full of Halal certifed products that may or may not be wholesome and healthy, and Tayyib products that are mostly within the health and wholefoods sector. The next necessary step in the evolution of the Halal sector is ensuring that the parameters for both are met.